RICH : 12 years minimum aging. ESSENTIAL. 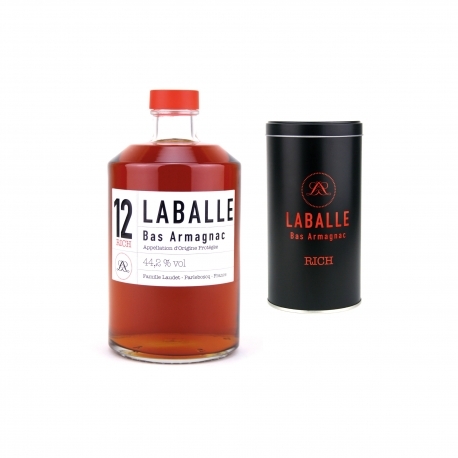 It is a soft, equilibriate and intense armagnac: perfect balance between melted wood from aging and aromas of candied fruits, the exact essence of an armagnac. To be driken pure or during a meal.